In the 21st century, online marketing has taken a whole different meaning with the advent of social media. But email marketing is still very meaningful in today’s context too as it informs potential and existing customers about what your company does, plans to do in future and wish to sell. E-letters/newsletters are the best way to keep your customers informed about the company and advertise your product. Listed here are the top 11 best email marketing services available at your disposal. The selling point used by Constant Contact is the most cost-effective email marketing solution. The worthwhile and interesting feature of Constant Contact is that they offer a personal marketing coach to their every customer who assists & guide the customer wherever any query or problem occurs as timers, email newsletters, and autoresponders are quite challenging to set up, so this feature becomes quite a value in this scenario. This website also offers excellent free tools like Survey Monkey and Eventbrite. Its services are easy to use so it is the best website for the beginner regardless whatever the technical need is. Another major email service that has large user base is MailChimp. Whether you have to craft a newsletter or to build a subscriber list, MailChimp provides an excellent facility to send emails to subscribers and proper tracking of the emails. It also gives a detailed report of email opened, bounced, clicks on links, etc. which helps you to strategize better for future email campaigns. It also comes with a huge variety of email templates, sign up forms and designs needed for sending attractive emails and newsletters. Termed as most used email marketing services in the world, AWEBER has been the first choice of thousands of marketers. With custom built autoresponder and social media message interface to send information about new email to your Twitter and Facebook friends, it comes with a variety of templates of various designs, custom sign up forms, autoresponders. It also provides facility to analyze and report the emails and impressive customer support. Another major attraction of this service is blog newsletter and email marketing API for third-party integration. Known for its easy-to-use interface and simplest email service, Get Response comes with many unique features required for great emails and newsletters. With drag and drop email builder, you can create beautiful email templates with a variety of editing options. Its Landing Page creator is also a very handy tool to create a custom-made full landing page. If you have to build a brand image for your company, Get Response will be the best choice for it. Mad Mimi is one of the easiest ways for creating, sending, tracking & sharing the emails online. It is a website which makes its users delightful and offers them powerful service. It provides easy integration with amazing deliverability. By using its social media button a user can align his campaign with social media strategy. It integrates with add-ons without charging an extra fee. Working on this website is so easy that you can even create professional & fashionable looking emails without having much knowledge. It offers to simplify designing tools which differentiate it from its competitors and offer a competitive advantage to the website. This email service comes with its video tutorials and email marketing manuals which make this service an excellent choice. With its webinars and email marketing articles, any user can learn to develop stunning emails. This email marketing service boasts about its intuitive design which is quite important when you are creating new email campaigns. It provides a quick process and easy to use drag and drop elements as you go along the editing procedure on the included templates. While sending test emails via this service, it arrived in most of the inboxes successfully. This service also provides the ability to track the efficiency of your email campaigns. You can easily see which subscriber has opened your emails, clicked on the links or even forwarded your emails. Benchmark email mobile app makes it very easy to schedule and send emails to mobile users. iContact helps to keep your business visible with numerous email inboxes as sending better email helps to sell more stuff. This is easy to use website which focuses on the business need of its client to increase their customer list & also to successfully reach to their inboxes. If your email list is increasing then not to worry as it offers various tools to manage them all. It also offers the facility of Spamcheck™ to ensure that every email reaches to the inbox. It has social media feature too which helps to schedule the messages on Facebook, LinkedIn, Twitter and other social sites. For branding your company, Streamsend is the best option for you. Sharing emails and social media tools make work easier to build your brand. Few of major features of this service are multiple languages support, reselling option to clients and ability to manage multiple users. 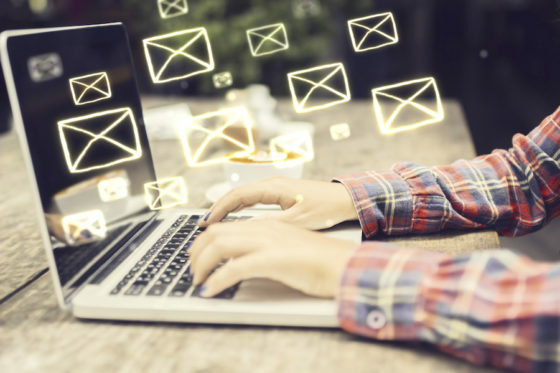 This service offers you with nine separate spam filters which you can run across your email through, to identify any problems that are required to be resolved before sending your emails. With this service, you can also keep tabs on various associated statistics which includes, open rates, forward rates, click rates along with bounce rates, which will help you in determining the response of your contacts to your emails. Just go ahead and use their trial services and decide for yourself. ActiveCampaign is the email marketing service provider website which has an amazing ability to create marketing automation sequences in an easy & affordable manner. It is very much helpful for beginners who are unfamiliar. Marketing automation is the ability which assists in creating pre-built sequences of emails to sending to the people who are on the list. The most powerful component of this website is that a user can look at any person in his CRM and can check a full history of which emails they’ve opened, replied or which pages on your site they’ve visited etc. An exclusively positive aspect of campaigner is that all of its plans offer the access to all of the features however it does not include much variety. It includes all the same basic features which are available in top-rated email marketing software. Additionally, it also offers many advanced features too and the accessibility with the same features whether you have 500 contacts or 5,000. If you are failing in producing the revenue you want then you just try this website once. It offers high deliverability with industry-leading features. It offers award-winning customer support service which is 24/7 available. Moosend is a UK-based email marketing platform that helps companies of any size build and nurture customer relationships. This is done by providing their customers with flexible pricing plans and high-quality customer support through live-chat or phone. In addition to the affordable pricing options, Moosend offer you the ability to design your newsletter right through their platform with their easy to use drag and drop editor. Making it super easy to create your newsletters! That their support is available to all customers by phone, email and live chat without additional fees. Users have access to 100% of Moosend’s features available from Day 1, that includes the free trial. And last but not least they have compiled not just a template library for email designs, but also a library of pre-made email automation such as Welcome Email Sequences, Cart Abandonment Emails, and Product Recommendations. Omnisend is an e-commerce marketing automation tool with omnichannel approach. SMS marketing, Facebook Custom audiences, and Google Customer Match make Omnisend different from its competitors. Its deep integration with WooCommerce, Magento, Shopify, BigCommerce means you can collect important data about your visitors’ shopping behavior to use it for greater personalization and segmentation. To connect your eCommerce store with Omnisend, you just need to install the extension, without any need for custom development. Omnisend is a good MailChimp alternative for online businesses. If you are looking for the cheapest email marketing service available online then MailGet Bolt can help you. It has many premium features along with a built-in SMTP service. Yes, no need to worry about connecting an SMTP service. MailGet Bolt guarantees 99.9% email deliverability and offers extreme list cleaning & management functionalities. Also, it has features like an autoresponder, auto follows up and drips emailing to schedule & automate your emails like a pro. Moreover, you can track your emails as well as check the report/statistics of your overall campaign. With this, we end our top 13 email marketing services that you can try. Use them, send emails, observe the impact of the emails and let us know about your experiences. Mention your reviews and suggestions in our comments section. Nice post, Thanks for the Information. Keep up the good work. My all-time favourite is GetResponse. Have you tried their marketing automation? I love to use MailChimp. I love to use it, as it’s the best one among all. good article. keep it up good work. Great post once again Jaspal Bro, Email marketing is a key for every online business. Because with the help of this one can target more customers get more leads and also earn some good commissions. You have shared some excellent resources which are used for better email marketing campaigns. I am using Sendpulse for my blog which is another awesome services. which comes up with lots of quality features. The good thing about this email service is that it is an excellent alternative of Mailchimp up to 2500 subscribers and 15000 emails one can send on monthly basis by using its free plan and the pricing levels of paid plans are also very convenient for individuals. Please add one more e mail marketing software : Retainly.co in google list. Thank you. Great article! I would definitely recommend adding one more alternative to this list. Remail,io offers perfect pricing so it makes it very attractive for beginners or those hesitating to switch between email marketing tools easily. I personally use Omnisend. Great email marketing platform for medium/small sized ecommerce businesses! Your latest post is fantastic and resonated with me.